Dan Gilmore, Chief Editor of Supply Chain Digest interviewed the Chairman & Co-Founder of o9 Solutions, Inc.- Sanjiv Sidhu. DALLAS - June 24, 2016 - PRLog -- Dan Gilmore, Chief Editor of Supply Chain Digest interviewed the Chairman & Co-Founder of o9 Solutions, Inc.- Sanjiv Sidhu. The interview focused on supply chain agility and the opportunities for improvement in supply chains. 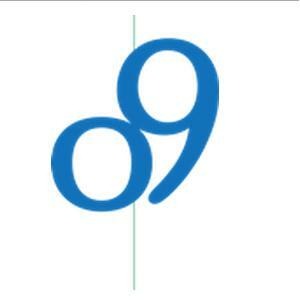 o9 Solutions is the world's leading Decision Management Solutions Provider Company. Located in Dallas, Texas, the company aims at developing the best technologies that aids decision making process for various segments of businesses. The company has a proven track record of developing innovative solutions for various fields such as retails, Sales & Marketing, supply chain to name a few. Their solutions have helped companies, make smarter decisions. Sanjiv Sidhu, the legendary founder of i2 Technologies and o9 Solutions, recently had an interview with Dan Gilmore, Chief Editor of Supply Chain Digest. Supply Chain Digest is one of the leading supply chain management and logistics publication center of U.S.A. Gilmore met Sidhu at the recent Gartner Supply Chain Executive Conference in Phoenix, Arizona and asked about his latest work. Sidhu told Gilmore that he is focusing on building the next generation supply chain solutions that can help companies transform. "We have been told that the rate of variability in the market is going up drastically," said Sidhu. "New players like Amazon are evolving and it is hard to tell what next year looks like. We are helping our customers in becoming more agile, a term which has been in the scenario for past two decades." When asked about how supply chain agility can be measured, Sidhu told Gilmore that forecast accuracy is a way of measuring variability and agility is a company's way of responding to rate of change demands in market. Any company's ways of utilizing assets to meet the market demand and the return which they get on those assets plays a great role in deciding how agile a company is. So a company's return on assets and their speed of planning is a great measure of company's agility. During the interview with Dan Gilmore, Sidhu told him about the companies he is currently working with. "We are working with a leading tire company and their supply chain is always constrained. Even with a ton of inventory, they were missing customer demands. We are trying to understand what their assortment should be in Texas v/s California. So we are working on their connected supply chain to cache changing customer demand and make them more agile." Gilmore and Sidhu also discussed the opportunities of improving supply chain, sales & marketing and trade promotions for a company. Sidhu gave examples of errors and failures he has witnessed during changing business scenarios. He also mentioned how it's important for organizations to utilize their people's knowledge to enhance a company's agility. The complete interview between Dan Gilmore and Sanjeev Sidhu can be viewed on the website of Supply Chain Digest. For all those who wish to discuss more about supply chain and agility solutions can visit o9 Solutions' website, email us at contact@o9solutions.com or call at (214) 838-3125." o9 Solutions is the leading provider of cloud Decision Management Solutions across Merchandising, Finance, Supply Chain and Marketing. Recognizing that process adoption is key to driving value in large, complex organizations, they have focused their technology and delivery methodologies to drive viral adoption of decision processes that embed powerful, but simple to use, analytics, planning and performance management capabilities. They are on a mission to earn most valuable solutions partner status with 100% of our clients.